Dempster Street – passed a couple of parked American bikes as I drove between job sites today. Hefty Milwaukee Iron owned by garage mechanics. Well, when you spend all day crammed under an automobile, swingin’ your leg over a motorcycle at the end of the day is a perfect antidote. Pretty – handcrafted bobber from an artisan workshop in Buckinghamshire. 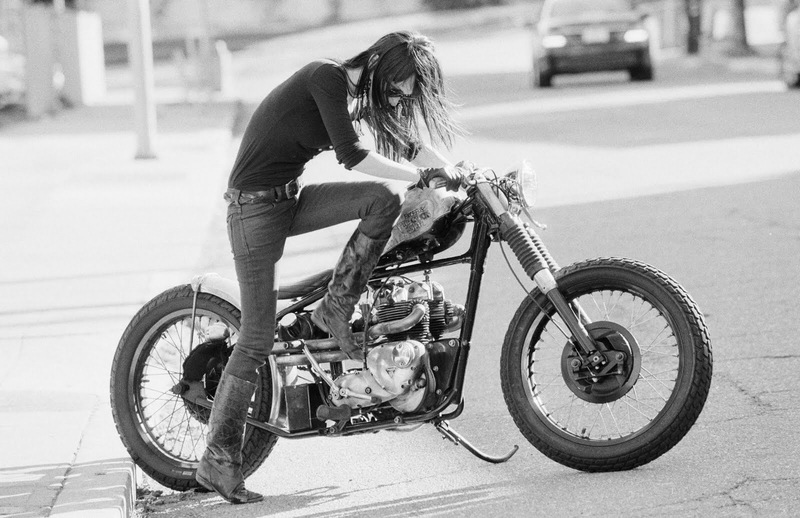 Purdy Motorcycles. Bespoke components adorning a spare frame. Pre-unit engine provides locomotion. 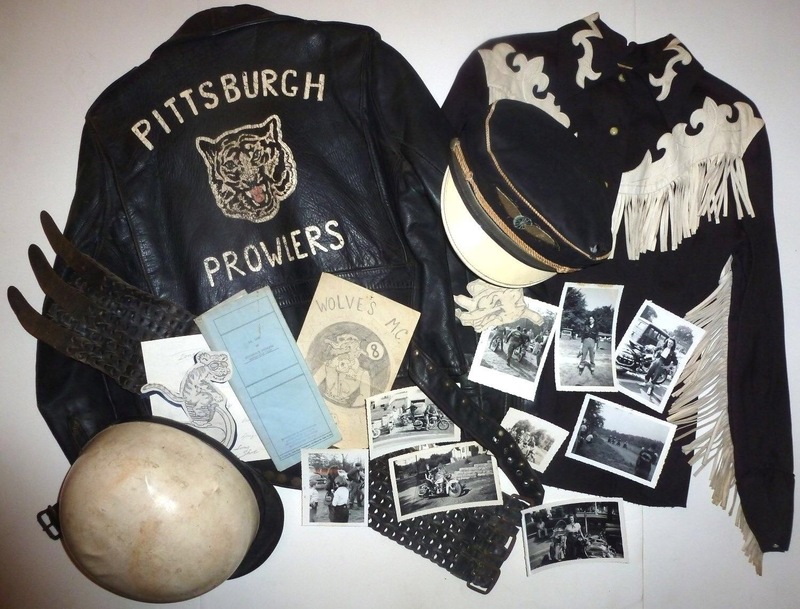 Tweeds, leather tunic, goggles and gauntlet gloves would serve for garb. Saint Pádraig – The Emerald Isle’s 5th C apostle Paddy is celebrated worldwide by the Irish in green colored jubilation. March 17th celebrates his life and gives Gaelic peoples an excuse to eat and drink and revel. This Triumph bobber looks like it was fed on corned beef and cabbage with a petrol tank topped-up with Guinness. Enjoy Coke! A couple prepares for the off aboard their aped Triumph bobber. Complete with springer front end and tall sissy bar it has West Coast biker gang written all over it. 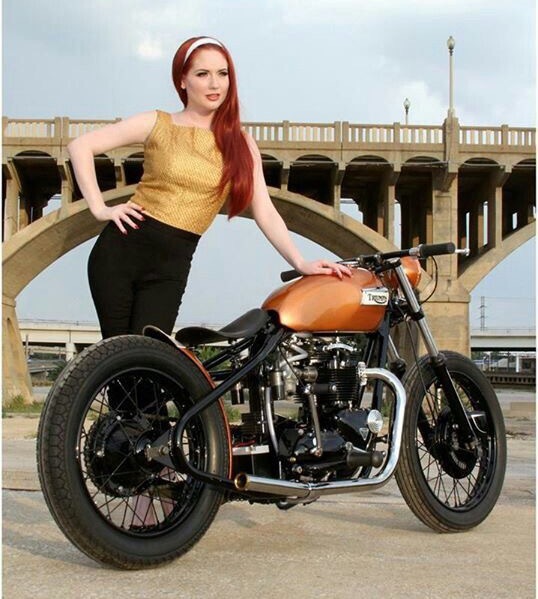 Pout – a doll posing her looks with the elegant complementary lines of a hard-tail bobbed Triumph modeling prop. Red Rogue – Mango Tango is the color of this tank. Nice compliment to the blacked out bobber bike. Classic lines of a hardtail in a clean execution. Heeey! 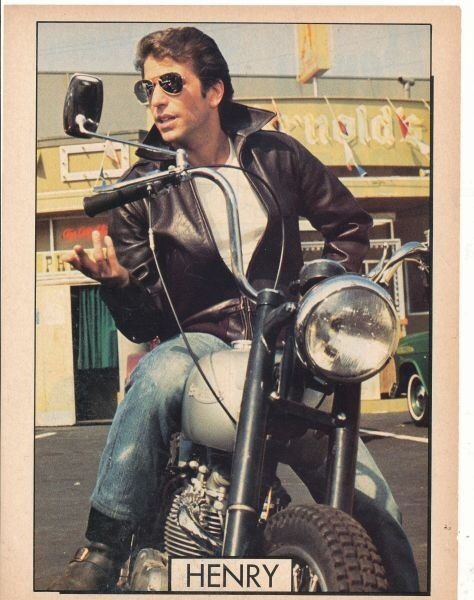 When you want to play it cool nobody does it better than The Fonz (Arthur Herbert Fonzarelli) played by Henry Winkler. His bobbed Triumph TR5 became as iconic as his hair-do and thumbs. 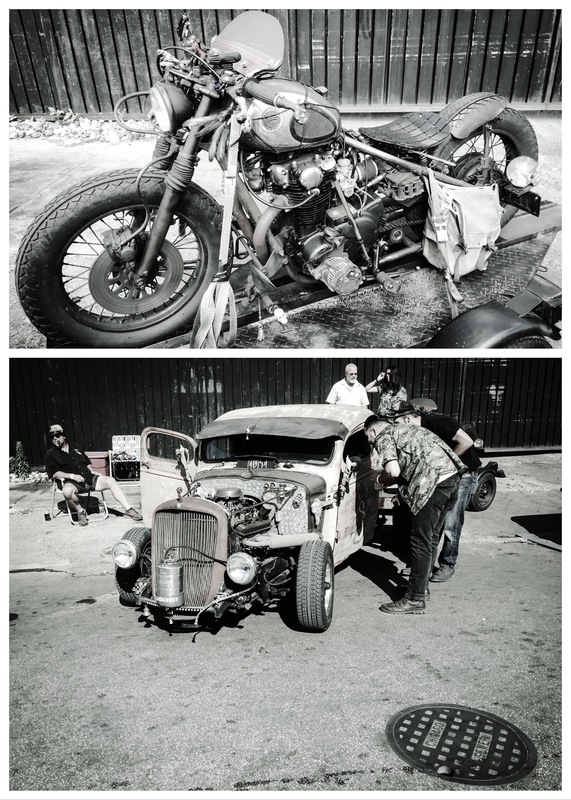 Just for Kicks – weekend is upon us… let’s get this show on the road!